12180 E. Control Tower Rd. 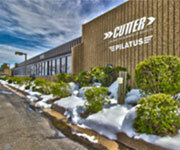 Cutter Aviation provides comprehensive avionics and instrument overhaul and repair services. We specialize in custom installations and retrofit systems, and are an authorized avionics service center for all the top equipment manufacturers. 91.411 and 91.413 Pitot Static Systems inspection and tests. Cutter Aviation can provide basic paint services.